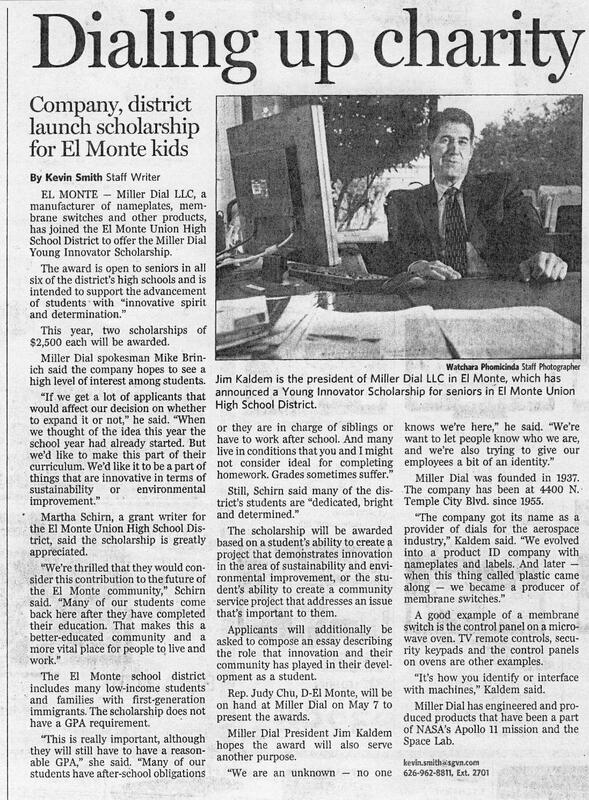 Old Bro Jim Kaldem (EpSig 735) sent in the following article about what he and his company are doing for school kids in their local community. This Old Bro Network was founded on the idea of sharing GOOD news as well as bad, and this is a great example of just exactly that. If anyone else has GOOD news they would like to share, send it to me and I'll get it posted for all to enjoy. 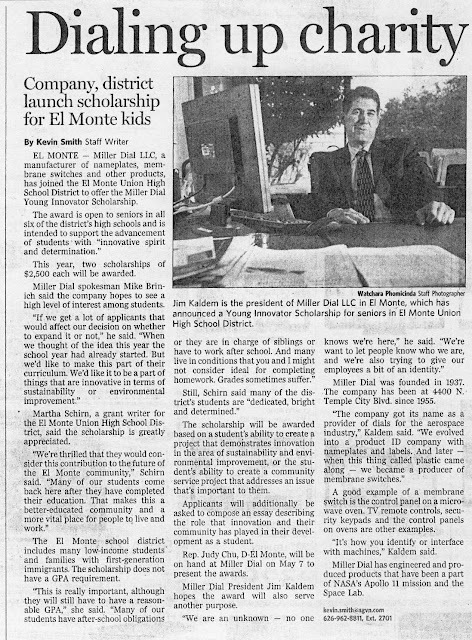 Congratulations and three cheers to Jim and his team for establishing the Miller Dial Young Innovator Scholarship ! !